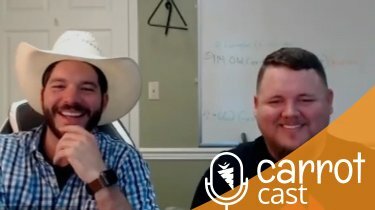 We’re talking about lead generation on this call. But…it’s a little bit of a different one. I’m going to set the stage for you. Whenever we talk about lead generation, there are a few steps that we always want people to take because of a proven path. This is the model to follow that works, and it works over and over and over again. Step two is what we’re going to talk about today.You need to pick a traffic plan and get traffic and leads coming in soon, and one of the best ways to do that is with pay-per-click marketing, whether it’s through Google or Bing or even Facebook if you do it right. One of the things that most people don’t do is they don’t look at and they don’t focus on this one metric that Adrian and I on our team spent some time … We did a Facebook Live and what you’re going to listen to is actually the recording of a Facebook Live that we did yesterday, as of the time I’m recording this, where we walk through and the number one most important metric that I feel people should be looking at when it comes to paid traffic. If you follow this metric and then you follow our training on how to dial in your pay-per-click marketing through Google and Bing, you are going to succeed. Okay? It’s just going to happen. One of the things that most people don’t do is they don’t focus on this one metric that Adrian and I are going to cover. We walk through the number one most important metric that I feel people should be looking at when it comes to paid traffic. If you follow this metric and then you follow our training on how to dial in your pay-per-click marketing through Google and Bing, you are going to succeed. Really dive in, nail this number that we’re going to give you. It’s going to take you five minutes to do your own calculation, and we’d love your feedback. 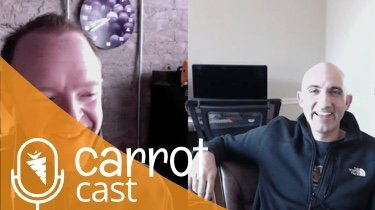 Enjoy this CarrotCast episode. Use the Carrot PPC Metrics and Change from Marketing Cost to Marketing Investment. 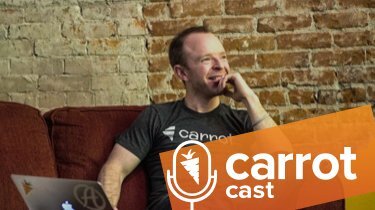 4:15 – Removing emotion from your marketing. Using simple math equations. 6:00 – Adrian’s PPC journey. Why what he implements works so well in his market. 7:15 – The main philosophy around the PPC metrics. Working the math to find your cost per lead. 10:40 – What Adrian’s AdWords campaign looks like right now. His cost per lead and lead volume. 15:30 – Taking a look at Adrian’s max cost per lead. 20:25 – Use the Carrot ROI Calculator. 23:15 – Factoring in the lifetime value of a client. 30:35 – Adrian dives into his to his account in real-time. 34:15 – Drilling down into your Analytics data to further optimize accounts. 36:20 – The difference in mindset between success and failure. Jump over that hurdle. 39:25 – Look at your marketing as an investment, not as a cost.